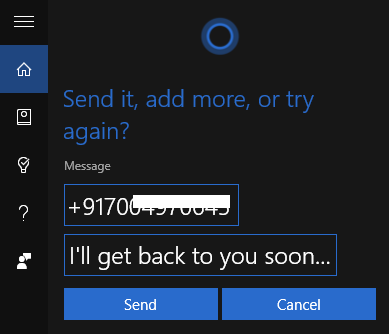 Now, with new anniversary update windows 10 have enabled sending notification between devices. Apart from missed called notifications and sending text messages back which can be pretty useful if you are working and want to get alerted on your PC about who called you on phone, there are some other notifications also like your phone battery is low and several other app notifications. 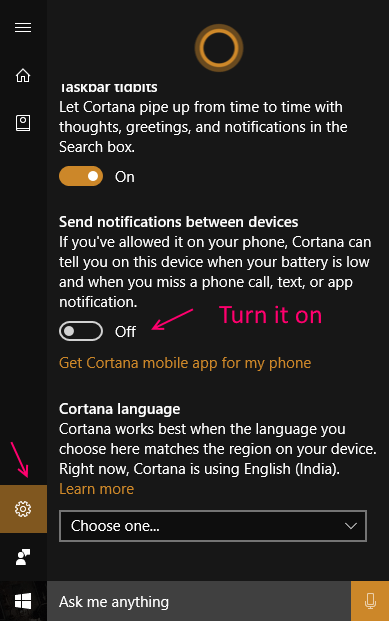 Now, for using this useful missed call alert feature on windows 10, you have to first enable it on your computer in cortana settings. You have to also make sure that this sync setting is on in your android phone. (Note that its by default turned on in your phone device). 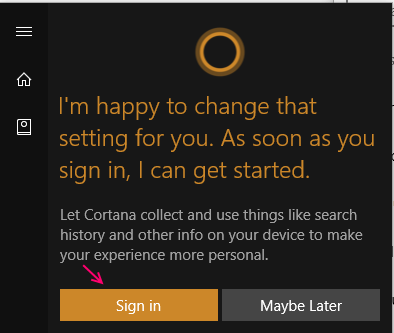 Step 2: – Open the app on your android phone and sign in to your microsoft account with the same account you use on your windows 10 PC. Also make sure that its enabled on your phone. 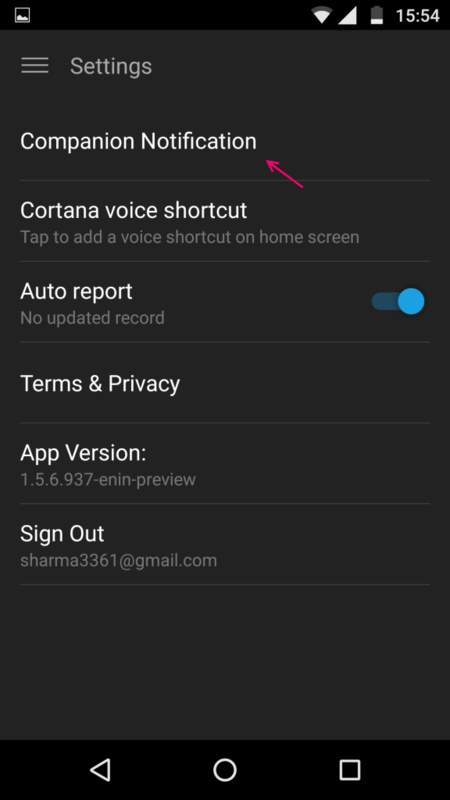 For checking, just click on three horizontal lines , once you open cortana on your android phone. Now, click on settings. Now, click on companion notifications. 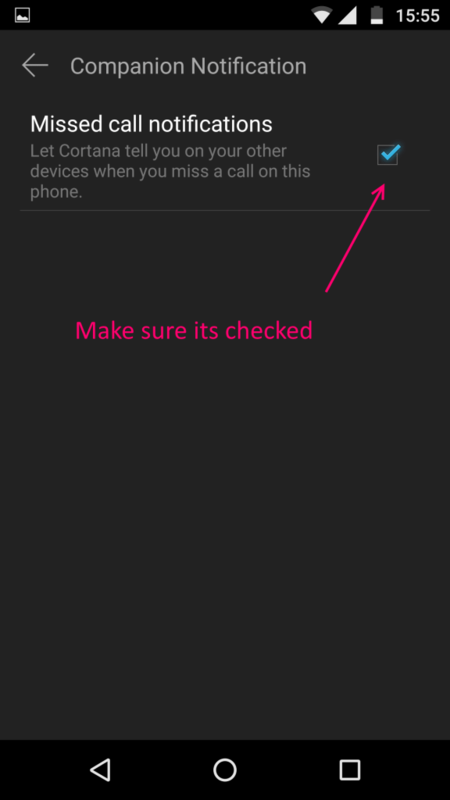 Now, make sure that missed call notification is checked on cortana app on your phone. 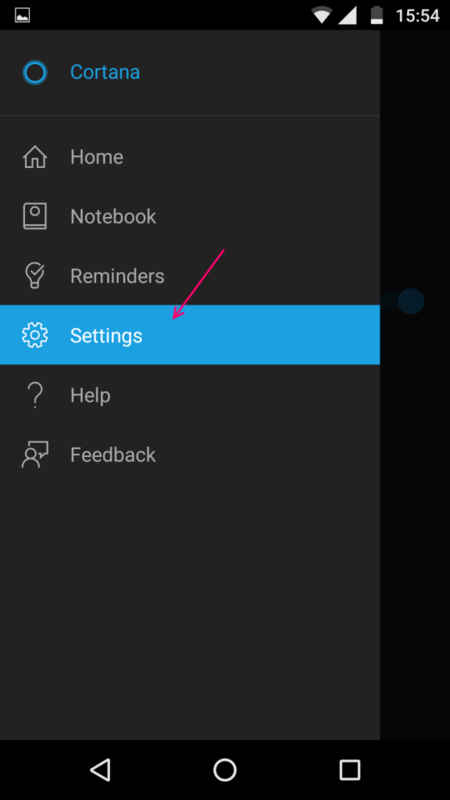 Step 3: – Open cortana and click on settings icon shaped as gear as shown in pic below. Step 4: – Now, scroll down and toggle on the option saying send notification between devices as shown above. Step 5: – Now, for first time it will ask you to sign in. Just click on sign in and it will get confirmed automatically. Step 6: – Now, your laptop is ready to get missed call alert of your android phone. Give a missed call on your phone from any other phone. You will instantly get the notification in the action centre. 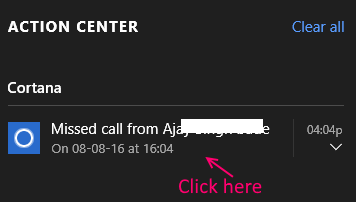 Step 1: – Just click on the missed call alert in the action centre. 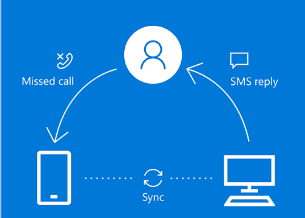 Step 2: – Now, alter message or send the default message to the person who missed the call from you.